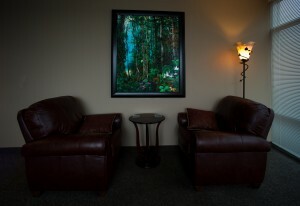 Counselling differs from psychotherapy in that counselling is typically shorter-term, goal focused, and oriented towards problem resolution or symptom reduction. Research consistently shows that counselling is effective for most people. Research also shows that a key predictor of counselling success includes the strength of the therapeutic relationship. In simple terms, you need to find a psychologist you trust and can connect with. I purpose to be mindful and attentive in all my counselling work. I remain open, non-judgmental and compassionate while being fully engaged and direct. As we are able to form a strong therapeutic alliance, your counselling will be more effective. I am trained in and use a variety of Evidence-Based counselling approaches including Cognitive Behavioural Therapy (specifically – Exposure Therapy and Cognitive Processing Therapy), EMDR, and solution-focused approaches. I always take a client-centered approach, and value the importance of meaning-making in the counselling process. I remain current on the latest research and science in the field, and believe in the powerful healing effect of professional counselling.